It’s no secret that Michelle Lafleur is not the most disciplined soldier. She prefers to be informal when talking to direct superiors, she frequently questions orders, and she is more likely to be found at a party than the training grounds. So why is she still in the army, and more importantly on Nelson’s team? The reason is simple: she is naturally ambidextrous, dual-wielding pistols or submachine guns with deadly accuracy. Such ability is so rare that previous officers before Nelson turned a blind eye to her other problems. Despite her natural talent, Michelle doesn’t really like to fight. She will always seek a peaceful solution over conflict. Even if she is very good at it, she doesn’t take any pleasure in killing other living creatures, even if they are aliens threatening her people. Because of this, at the end of the first game she resigned from the army and lived in one of the new flourishing Maradan towns. She started to work as a bartender, the perfect job for her allowing her to socialize and meet new people. Michelle was unsure about her sexuality until she broke-up with her last boyfriend Marcus. Since then, she realized that she only likes women. 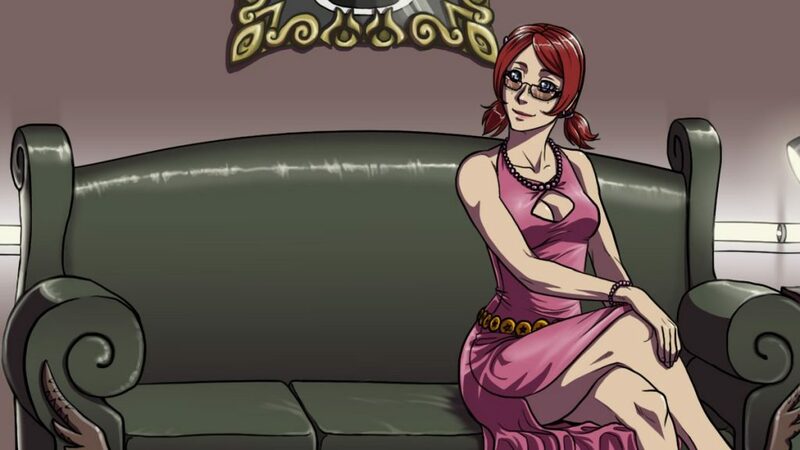 Playing as Lisa, it is possible to end up in a romance with her. Progress on Planet Stronghold 2 is going well! As you can see above, I added a completely new feature (for my games of course) that is, automatic combat. The AI is rather dumb (unfortunately I couldn’t re-use the enemy AI) but to be honest it’s very effective. I playtested several random encounters and if I equipped my team properly, I won most of the fights in Normal difficulty (of course not in the optimal way as if I had played it myself). Overall I think will be a useful feature, both for players but also for me during testing. I’ve also added another difficulty setting option. 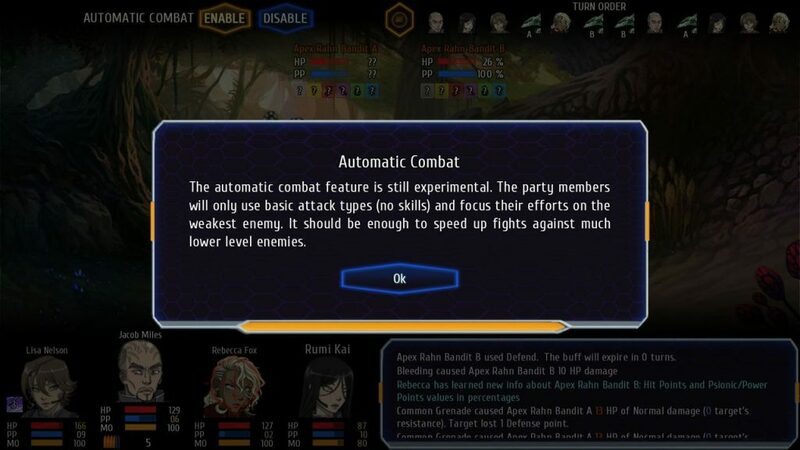 Beside the overall difficulty, now you can also choose if the enemy levels will adapt to your party. It works like this: in each sector there will be fixed quests/battles and random encounters. Each encounter’s level is based on the sector. If a sector says levels 1-5 means that enemies will usually be within that range, except bosses. Needless to say, the latest option increases the difficulty significantly. I’d dare to say that the game is harder in Normal difficulty with this last option enabled, than in Nightmare with this option disabled, since as you can imagine if the enemy levels doesn’t scale the same way as yours, you can use grinding to get to the plot battles at higher level/better equipped.